I request that the Louisiana Public Service Commission enroll my residential telephone number in the Louisiana "Do Not Call" Program using this on-line form. Please fill out the form in its entirety. Please list only one First and Last name. Be sure to give a complete phone number, including a valid area code. Note: the form will not be processed if all required fields are not completed or if an incorrect area code is given. For multiple phone numbers, please fill out a separate form for each. (Please register only residential phone numbers). The information obtained in this registration is not open to public inspection or disclosure as defined in the Commission's General Order dated November 7, 2001. 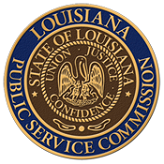 The Louisiana Public Service Commission will take all necessary steps to protect the confidentiality of the information in its database. You will receive a confirmation screen upon successful transmission of this form. The Louisiana "Telephone Solicitation Relief Act of 2001" directs the Louisiana Public Service Commission to promulgate regulations and to compile and maintain a "Do Not Call List." The List consists of telephone numbers of residential telephone subscribers who have elected to reduce telephone solicitations. Business numbers may not be included on the list. The law requires the "Do Not Call" Register to be operational by January 1, 2002. Note: This form does not employ encryption during the transmission phase. The information being sent, although personal, is public domain, and does not include anything sensitive such as drivers license numbers, bank numbers, credit card numbers or social security numbers. Address and phone information can be obtained from a vast array of sources, including Internet people finders, address database CD-ROMS, white pages, etc.